Fun for you and your pooch, Boston’s Freedom Trail is hailed as the leader of the pack when it comes to Massachusetts attractions. Throwing a bone out to one destination in each of the lower 48 U.S. states and D.C. along their “Ultimate Pet Friendly Road Trip,” the founders of GoPetFriendly.com acknowledge Boston’s 2.5 mile path for both its historical value and plentiful park and green spaces. 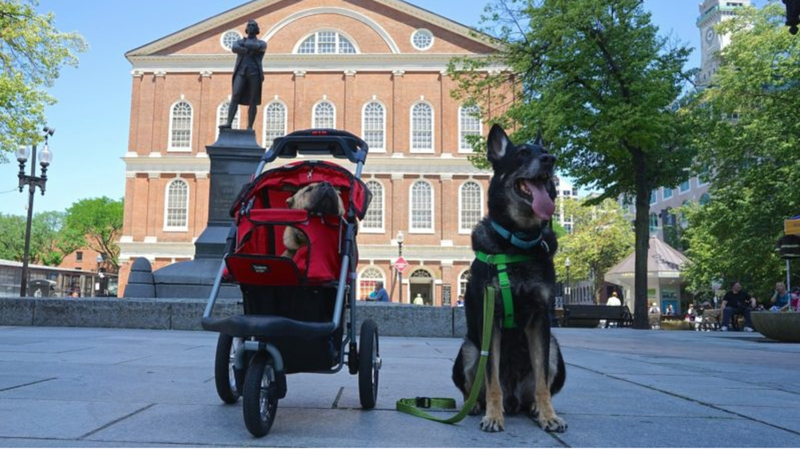 Amy and Rod Burkert, who travel full-time with their two dogs Ty and Buster, delighted in sixteen significant historical U.S. landmarks while taking breathers in some of Boston’s most beautiful parks including Boston Common and its off-leash areas. Read more about their experience by visiting the Take Paws blog.